﻿ Evan Sebastian Lagache "Elemental Energy"
Evan Sebastian Lagache "Elemental Energy"
Evan Sebastian Lagache and his painting Mother Nature's Mother Board at his Elemental Energy exhibition at One Art Space Gallery. ONE ART SPACE GALLERY is honored to present Evan Sebastian Lagache with his Solo Exhibition, “Elemental Energy.” A portion of the proceeds will benefit Save the Children and Children’s Museum of the Arts’ Hurricane rescue relief for the children of Puerto Rico. Lagache’s paintings achieve a unique equilibrium between the technological and the organic. A single painting may evoke both an electrical grid and an insuppressible ocean wave. The artist forges a relationship between these two forces; bleeding grids of color relinquish their structure to shapeless pools of paint while maintaining their steady vibration. Like a gasoline fire, Lagache’s paintings follow thin lines of accelerant until they explode into space. Lagache describes his work as a physical performance with his canvas. His technique is kinetic; his bodily movements organically guide the direction of the flowing paint. Lying beneath the canvas, Lagache manipulates the stream of color like a conductor, orchestrating the flow of paint. At times, these movements send the paint right over the sides of the canvas, wrapping the frame in color. The result is a brilliant symphony, devoid of any obvious border to the outside world. Evan Sebastian Lagache has the unique ability to view the world around him from different points of view. His paintings are reflections on personal interactions and the energies they emit. They are also bird’s eye view maps of city life in all its daily vibrations. With “Elemental Energy,” Lagache invites us to explore these perspectives with him. In work like “Mother Nature’s Mother Board” the viewer slides along paths of dripping paint, experiencing the vibrations of life both inside and outside of his own being. 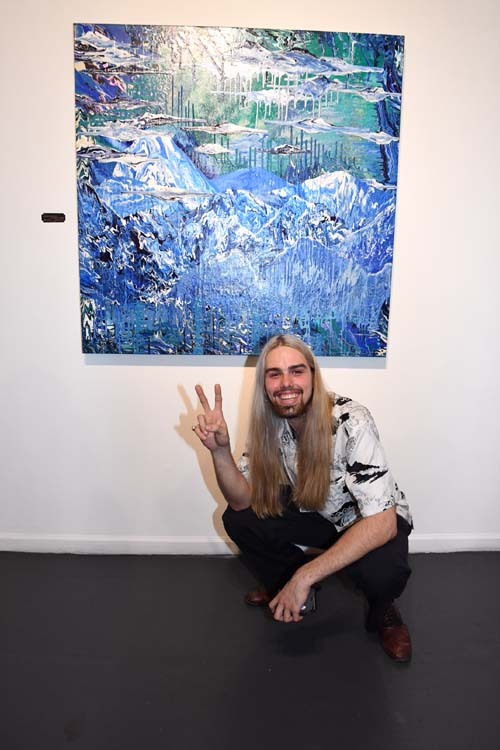 Evan Sebastian Lagache began developing his artistic vision at the Frank Sinatra School of the Arts frequented by Tony Bennett. At an early age, Evan collected material from the street ¬– doors, windows, skateboards and tables. These assembled objects became the basis for his artistic practice. He took these objects outdoors, setting up his studio at the Washington Square Monument. 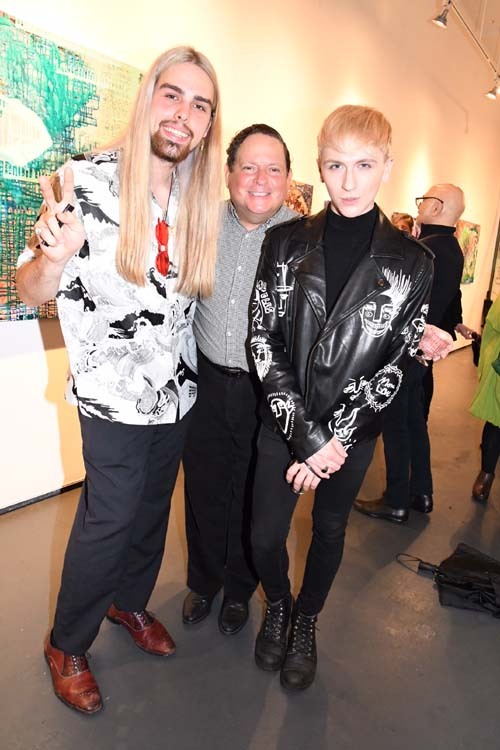 It was there that he was discovered by Julie Keyes Art and invited to debut in the group show “View from Within” at the Mark Borghi Gallery on the Upper East Side. 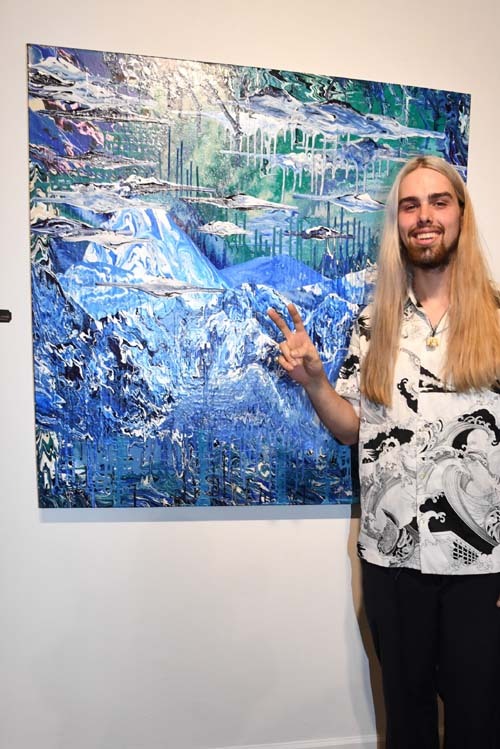 The attention Lagache received led to his inclusion in a group show at The Cupping Room, where “Deep Blue” was purchased by a Parrish Art Museum Trustee. These exhibitions were followed by Lagache’s first solo show, an exhibition at The Public Factory. 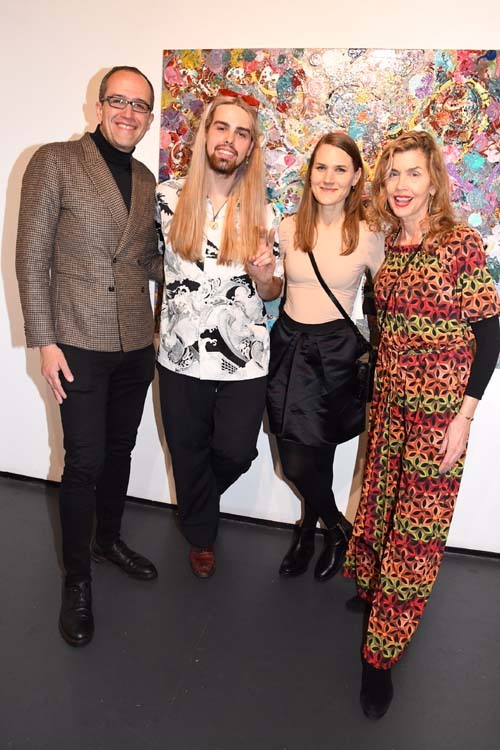 There the artist was approached by curator Robert Curcio to be part of the “20 under 20, Younger than Rimbaud” exhibition at Elga Wimmer Gallery in Chelsea. Curcio later featured a work by Lagache at the National Arts Club, it was sold to Maya Rudolf of Saturday Night Live. 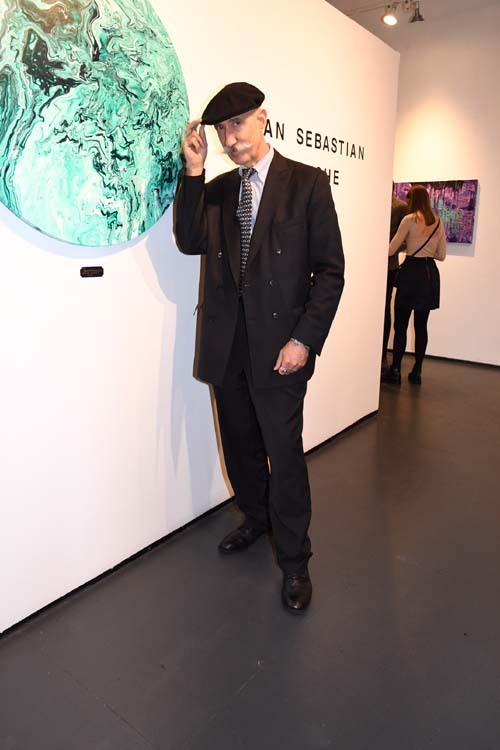 At Art Basel 2016, Lagache exhibited at the X Contemporary Art Fair at the Nobu / Eden Roc hotel in Miami. In 2017, Lagache’s work was prominently displayed at the Keyes Art Gallery - Winter Equestrian Festival in Wellington, Florida. 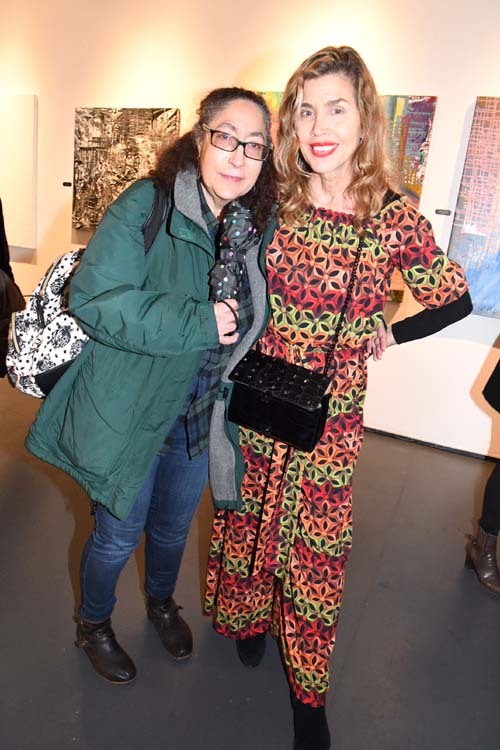 Salomon Arts gallery displayed a collection of Lagache’s signature work in the exhibition, “Matter in Movement.” The Artist’s second solo show, “Abpsyche,” was curated by Julie Keyes at the Christy’s Art center in Sag Harbor. 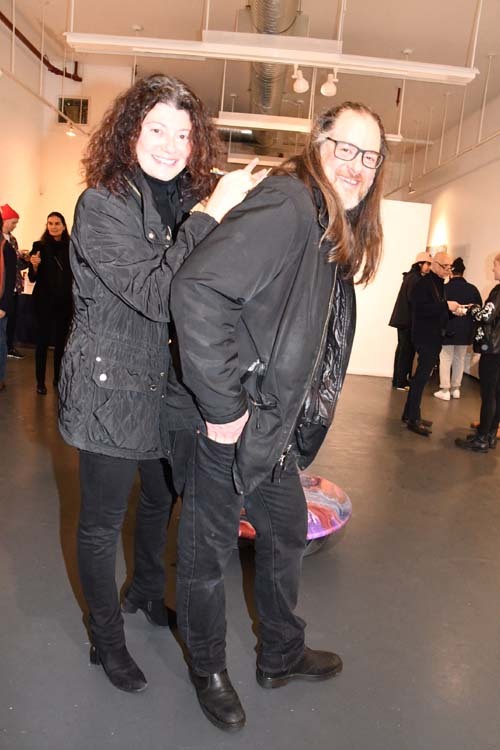 He most recently presented his work in “Get Busy Living or Get Busy Dying” 235 Gallery in Chelsea. Evan Sebastian Lagache resides in New York City, where he is busy preparing his Solo Exhibition at One Art Space in TriBeCa. “Elemental Energy” opens Saturday, February 10, 2018.
half-day schedule. Without full school schedules, families have to adapt their work schedules to care for children who are out of school for part or all of the school day. 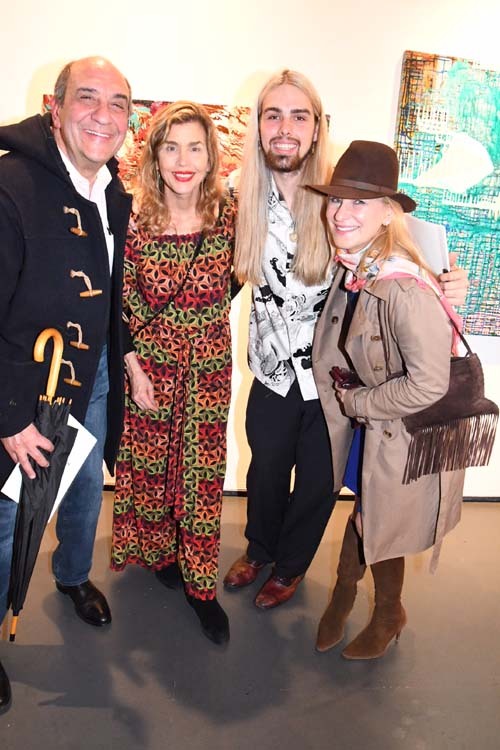 Our sincere gratitude and thanks to Dan Giella of One Arts Space, Golden Artists Colors for the beautiful color seen in all the exhibited artwork, Inc. and Vias Imports, Ltd. for their contribution of fine wines. Most important for their alliance with Mr. Lagache and Ms. Dickinson on their mission to support Save the Children and the Children’s Museum of the Arts charities. We generously support the efforts of Save the Children's Hurricane Relief for the children of Puerto Rico. A portion of the proceeds benefit rescue relief.